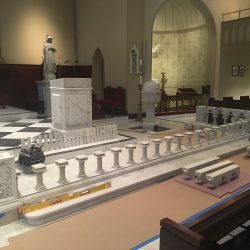 This was a very unique project. 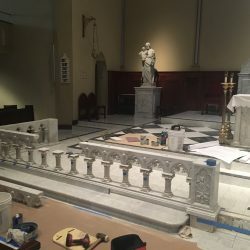 The church has been given Basilica Status by the Vatican which meant it was in need of the a tintinnabulum,( a bell) and ombrellino a gold and red umbrella demonstrating the basilica’s connection to the Holy See. 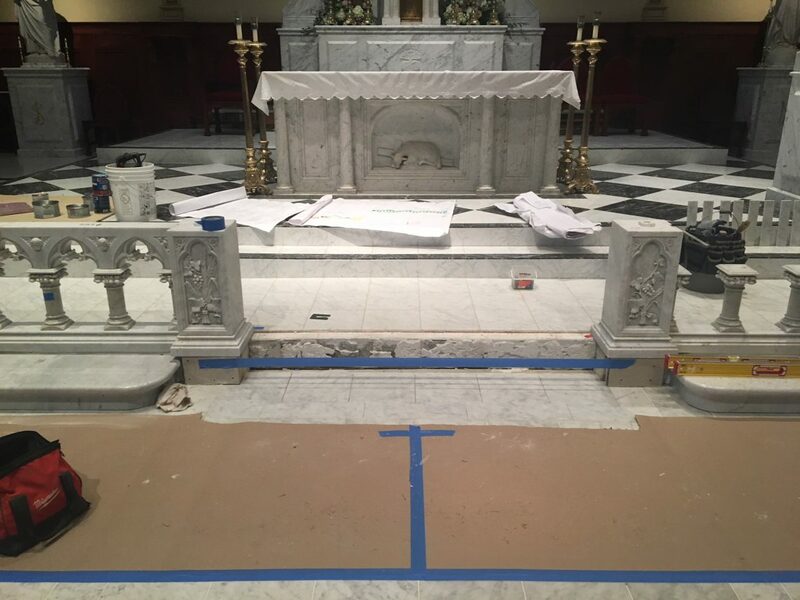 We crafted and designed this beautiful piece to categorize its magnificence. 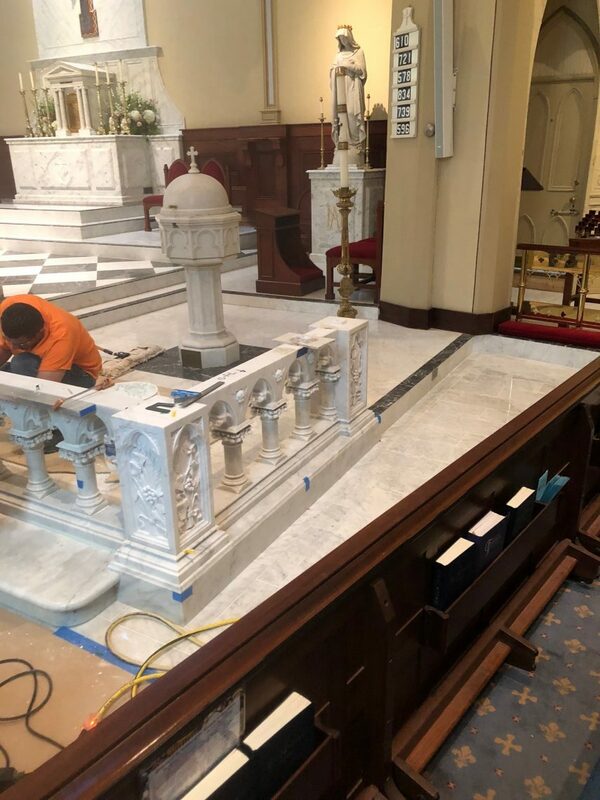 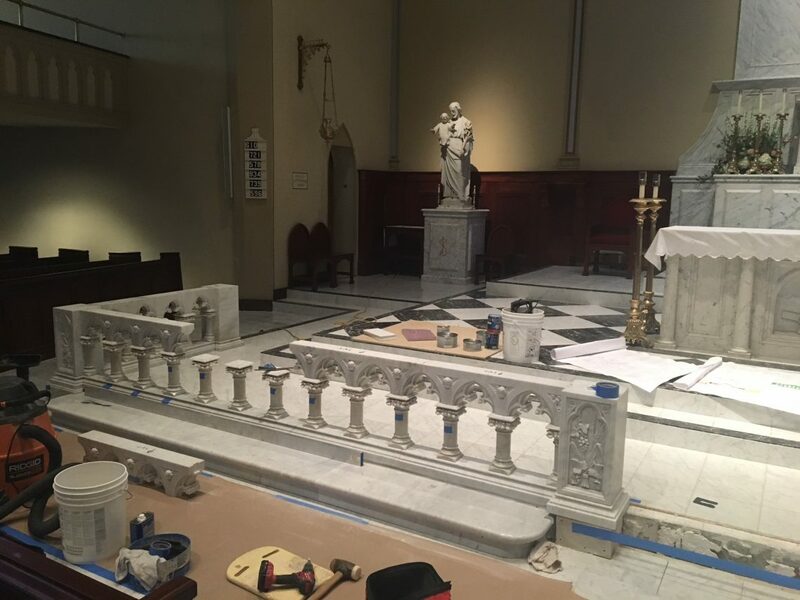 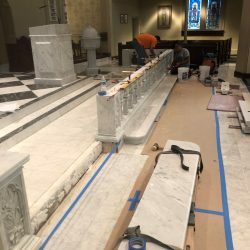 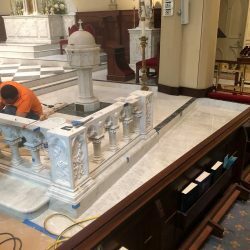 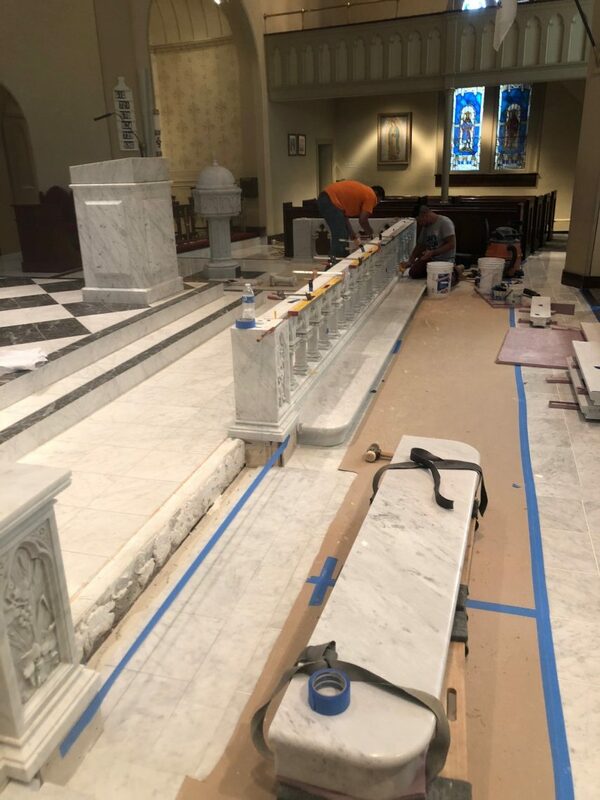 We also were contacted to install a marble communion rail. 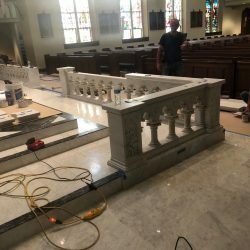 Through the pictures you can see the perfect craftsmanship and attention to detail was evident during each phase of install. 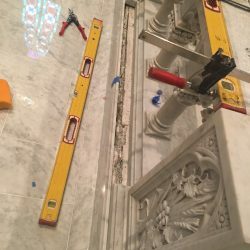 We repurposed this marble railing from a nearby church. 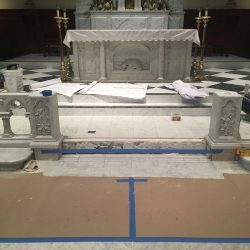 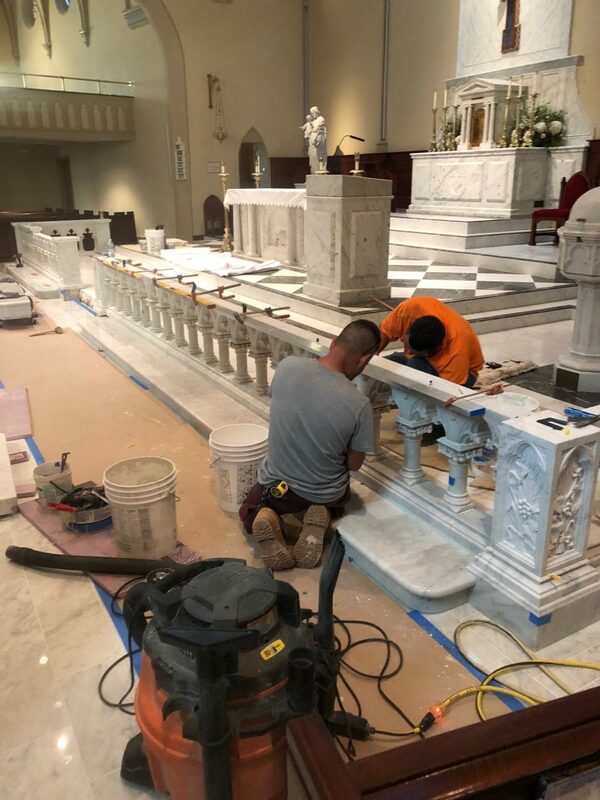 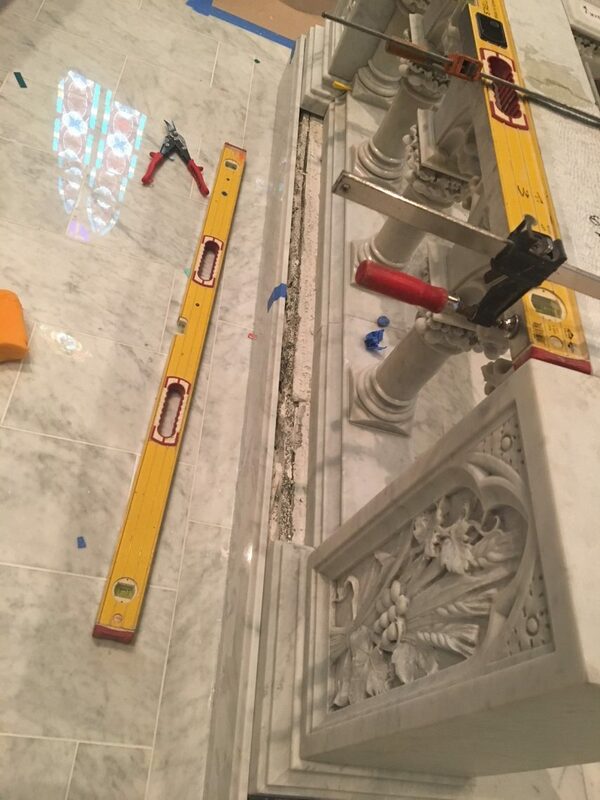 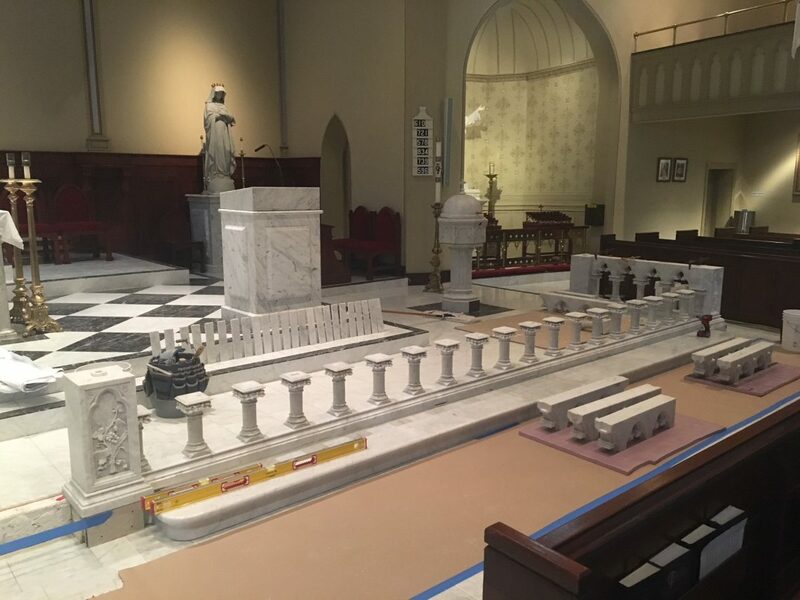 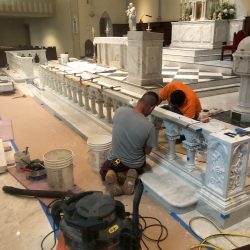 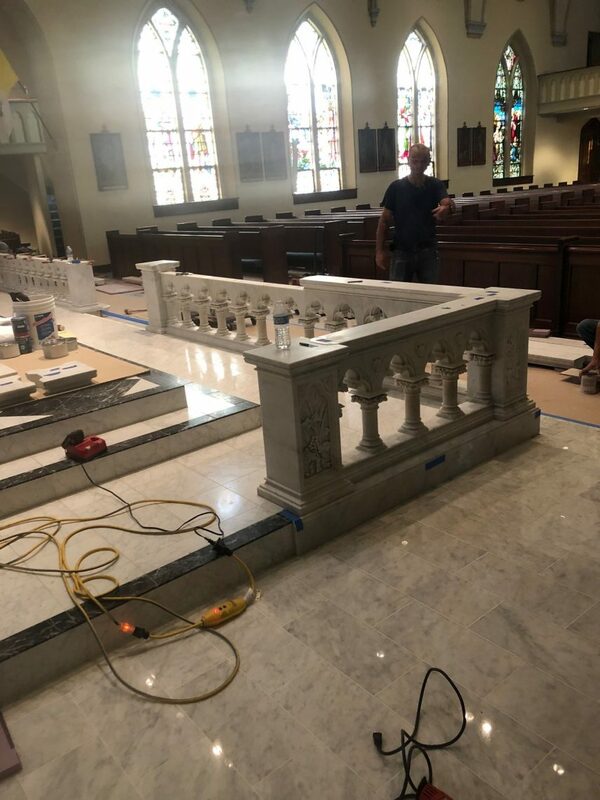 SJLA carefully removed piece by carved piece and reinstalled in the new home of this wonderful Basilica…….an excellent compliment.